Halifax Citadel Hill watches over the city’s downtown core and is an official National Historic Site. It is a reminder of Halifax’s history and military fortification. The colonial fortress, eventually named Fort George, has been around longer than Canada itself. First built in 1749, over one hundred years before confederation, the site was identified as strategically important and fortified for various conflicts over the years. The current star-shaped fortress was completed in 1856 by the British Army and fortified by the Canadian Army during the First and Second World Wars. Today, the site is maintained by Parks Canada and visitors can take self-guided and guided tours, Ghost Tours, visit the Army Museum and even experience being a solider for a day. This unique experience allows someone to experience the life of a mid-19th century solider, get fitted for an authentic uniform (include the bonnet! ), runs drills and even fire a rifle (must be over 16 years-old). 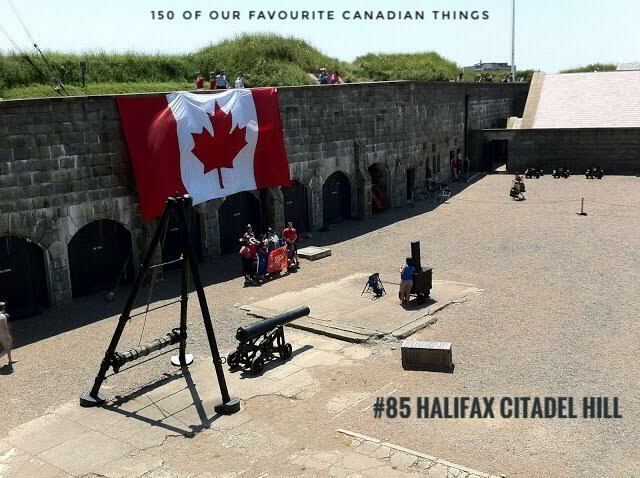 Halifax is a wonderful east coast city and Citadel Hill is a must-see when visiting. Every local is used to hearing the Royal Artillery fire the Noon Gun at 12:00 p.m.